Automation in aviation is a hot topic right now. But, this needn’t cause alarm for aviation employees. Let’s take a look at recent examples of automation in aviation today and why humans will always be needed. In 2019, London City Airport will replace their control tower with an automated version. A suite of HD cameras will film runways from a 360 degree perspective. Live video will then be streamed to human air traffic controllers (ATCs) in a NATS control room on the south coast, where they will complete their operational tasks. ATCs will be able to overlay useful information – such as weather and radar data – to gain a more detailed perspective. JetBlue are in the process of implementing their new In-Flight Service Assistant (IfSA) application. The technology automates several tasks that cabin crew would previously have to do by hand. 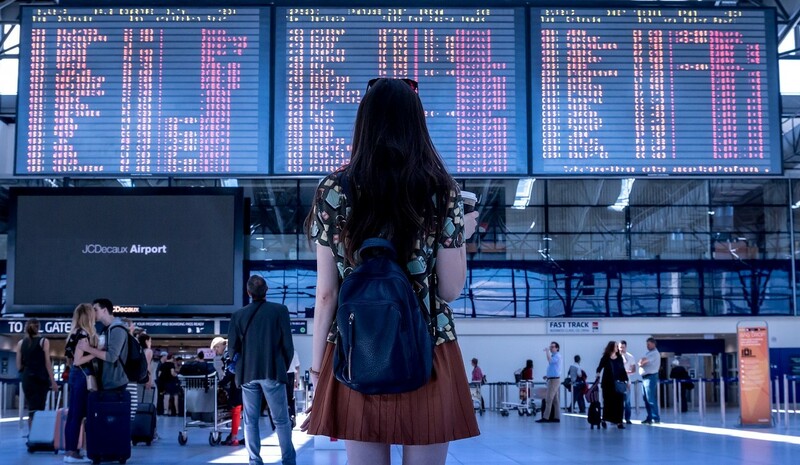 These include in-flight administration tasks such as locating passengers, compiling and administering special requests and translating queries into any given language. This app is designed to personalise and improve the passenger experience while increasing in-flight sales, but does require all flight attendants to be issued with iPad Minis. A collaborative project between GE Aviation and AT&T is set to connect the on-board and off-board portions of the Aircraft Health and Trend Monitoring System (AHTMS). This will enable aircraft performance to be monitored in the air and on the ground, as well as allowing technicians to monitor issues across a fleet in real time. This system automatically sends data to relevant parties, troubleshoots problems, and presents data in priority order, therefore saving time and money. Despite all these automation initiatives, humans will always have a place in aviation. Job roles may evolve and change alongside new technologies, but they will still be necessary for a fully-operational operation. We have already seen how automation has changed the role of pilots through one breakthrough piece of tech – autopilot. While 95% of the typical flight duration is now controlled by machine, pilots must still be able to fly the plane unsupported and know how to operate the new technology. Though flights without pilots are a possibility, passengers just aren’t yet ready to board a completely unmanned flight. People still put more faith in pilots than machines. Autopilot was once seen as a step towards reducing pilots’ roles. However, as long as they are trusted by the public, they will continue to be used as a fail-safe that passengers know can be called on should the technology malfunction. This is a trend that’s expected to replicate across the aviation industry. While customer services are being improved by automation in aviation, machines are a long way from mastering this part of aviation. Machines are good at repetitive tasks, and are even starting to develop a form of intelligence. But, they are unable to provide the same level of service, reassurance, adaptability and – ultimately – humanity as actual flight crew. Take corporate and VIP aviation. The type of influential clientele who charter these flights expect silver service treatment. Flight attendants on private charter flights are often expected to accommodate last minute requests, speak another language fluently and take account of cultural differences. Even if a machine could be taught to handle these tasks, the mere presence of a human would probably have an additional appeal. Aviation has been at the forefront of automation for decades. And, the examples listed above show that new technology is being designed to augment, rather than replace humans in aviation. So, it appears that the human touch will remain a staple of the industry for decades, if not indefinitely. Call on AeroProfessional to find staff with all the skills needed to keep your operations running like clockwork.